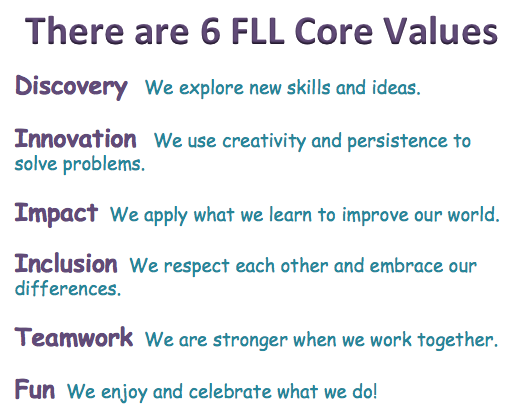 Teams are asked to use the Core Values as guides for all of their activities in and out of FLL. We will have weekly challenges which teach us to work together more effectively. For competition, we make a poster which demonstrates our growth personally and as a team.